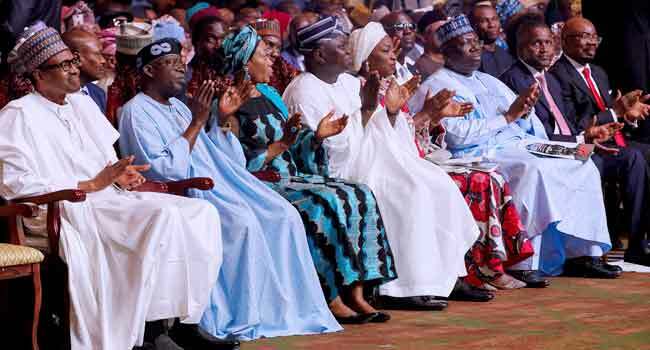 The national leader of the All Progressives Congress (APC), Bola Tinubu has taken a swipe at the previous Peoples Democratic Party (PDP) – led administration calling on Nigerians not to accept the apology of the party. Tinubu said this on Thursday, in Lagos during a colloquium organised to mark his 66th birthday celebration. The APC leader accused PDP of looting and wasting Nigeria’s resources. The PDP had, on Monday, tendered an apology to Nigerians for what it described as mistakes made while the party was in power prior to the 2015 general elections. Tinubu, however, said APC is on the voyage of redirecting Nigeria, and therefore PDP’s apology should be ignored. “The voyage of hope that we are reclaiming, reinventing, and redirecting Nigeria is on. Dear Nigerians, don’t take their (PDP) apology. They lied, they falsified, for 16 years, they made fake promises. There’s a difference between us and them. Night and day. “I am happy the President can change the course of the ship of this country that was heading in the wrong direction. It was necessary to steer the ship back before the final crash, it was necessary,” Tinubu said. Tinubu, however, said the Buhari-led administration will not keep quiet about the mistakes of PDP-led administration but will continue to expose it to Nigerians. “We have to report to millions of Nigerians who voted for us, that this is what we found and we are not going to take it off the ground, no matter how twisting the mind of PDP and their supporters may be, we will keep talking about it. “You looted! You wasted our resources! You did not do what you promised!, he said, pointing accusing fingers at the PDP. According to Tinubu, Nigeria’s market, during the previous administration was at its peak but was mismanaged. “The market gave you the maximum. The production level was at the maximum,” he said. After lambasting the previous administration, Tinubu took time out to appreciate Nigerians for supporting the APC-administration. “Thank you, Nigerians, for being patient with us,” he said. 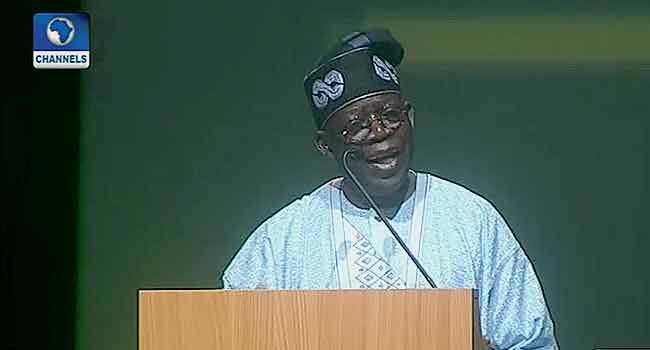 Tinubu, who addressed the crowd without reading from his prepared speech, lauded Buhari-led administration and Governor Akinwunmi Ambode for not encouraging corruption. “I have gotten the most beautiful birthday present I needed, and I am happy. “I have a speech here, but from what I have seen here, I have to abandon it and talk to it. I can see what the government is doing with so little. The idea, the fact that they are doing it and it is demonstrated in practical terms is what we need. To get our country from the throat of corrupt officers. “They said don’t talk about it (our achievements) what should we now talk about? We won’t encourage stealing. If we are not talking about it, then what is the lesson to all Nigerians. Forget those parties, they won’t come back,” he said. He also admitted that the current administration is faced with challenges, saying, there is no nation without its challenges. He added that the APC, therefore has a nation to rescue and a good leader to emulate.